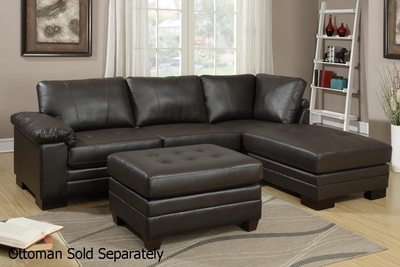 Make a statement with this lovely addition to your home living space. 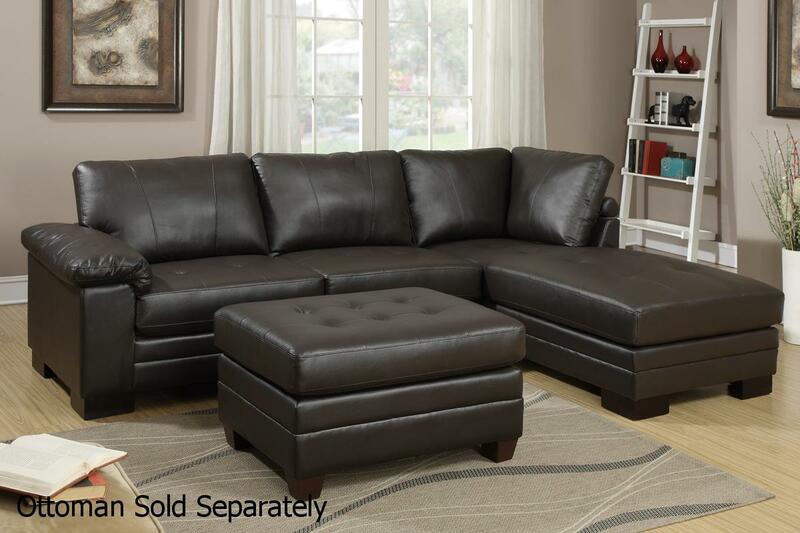 Featuring a genuine leather upholstered two-piece sectional sofa with a chaise, and cocktail ottoman, make the best of your living space. Available in khaki.